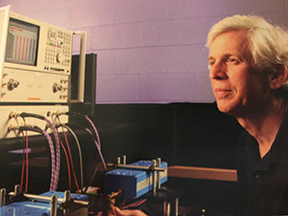 His work is described in the IEEE publication, Spectral Signatures for Identifying Explosives with Wideband Millimeter-Wave Illumination. He was awarded for his patents by the DHS at a ceremony in Washington, D.C. In 2018, Jim presented his research at the SPIE Defense + Commercial Sensing Conference, his published proceedings can be read here. Kate is a researcher, writer, technical editor, and webmaster working extensively in the scientific, computing and academic communities for more than two decades. She formed Weatherall Technical Applications in 2001 and designs, develops, and produces websites for sports clubs, musicians, and private institutions. Photography remains an essential component to her work and, through her lens, enjoys capturing the dynamics of sporting events and special moments of cherished celebrations. She has served as a religion teacher and volunteers her time at charities within the area. calibrate, edit, form, analyze and enhance data received from radio telescopes into usable images. building a complete imaging telescope producing astronomical images at millimeter and submillimeter wavelengths.